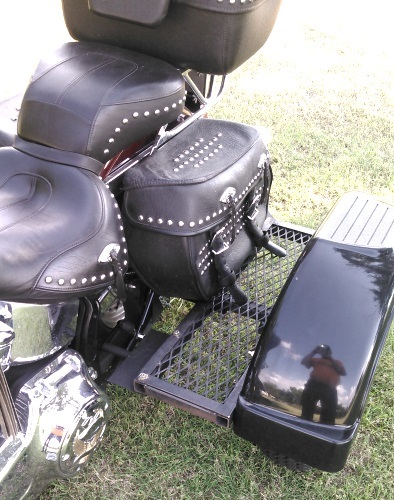 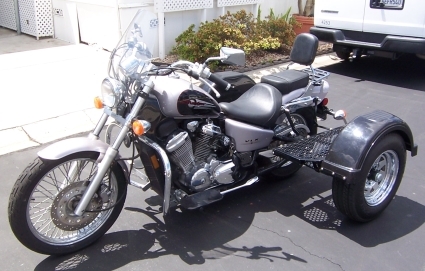 This Do-It-Yourself Motorcycle Trike Kit allows you to easily and cheaply convert your motorcycle into a Trike in just minutes! 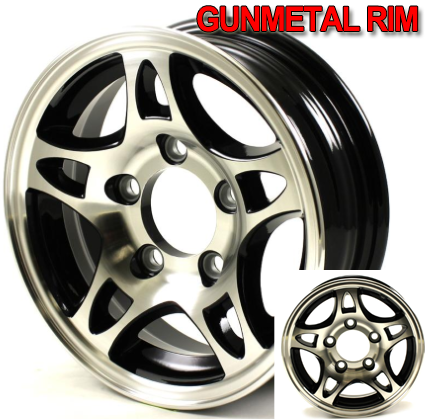 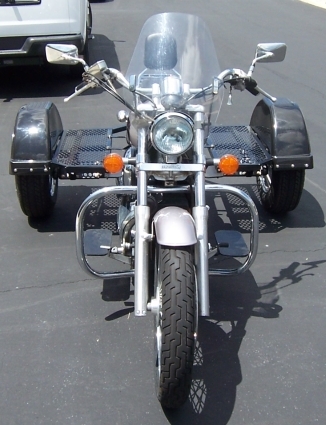 It is fully adjustable to the width, height, and length. 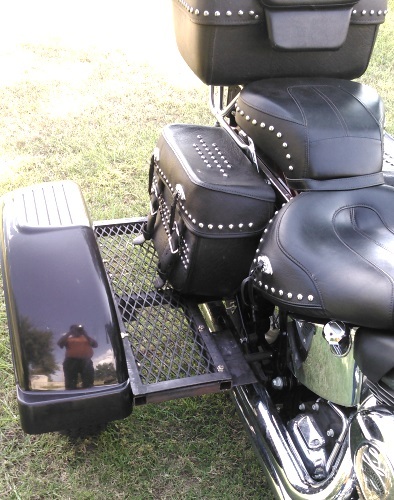 It fits around the accessories of your bike, allowing you to customize it to your liking. 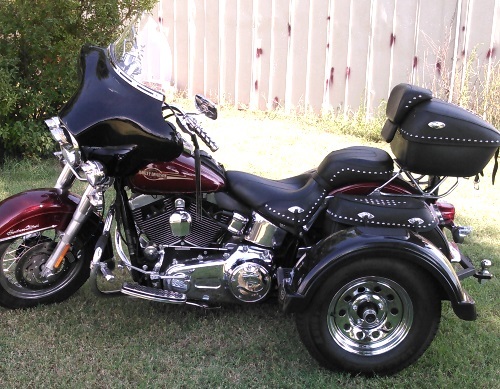 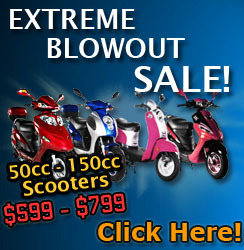 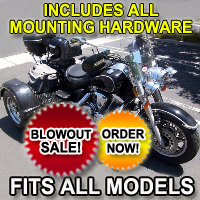 This is a great bargain for any Motorcycle enthusiast looking to customize their bike. 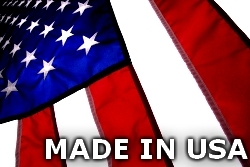 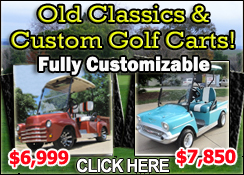 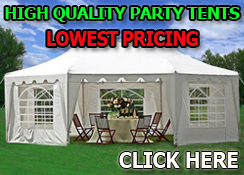 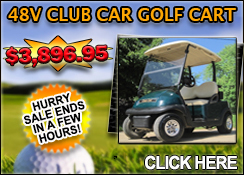 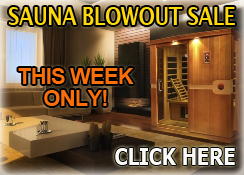 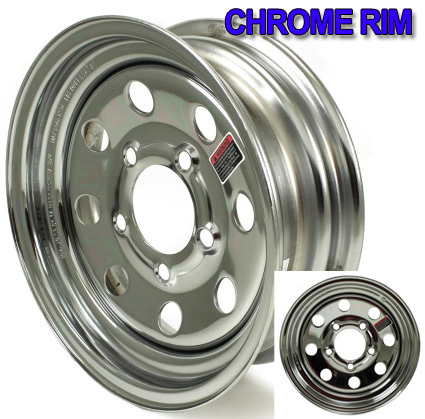 When you compare our price to other manufacturer's prices, you won't find anything better! 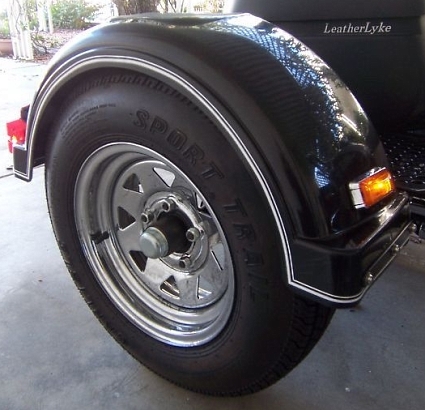 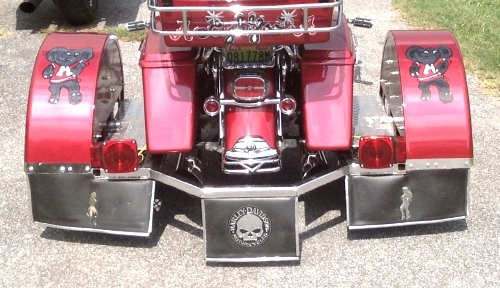 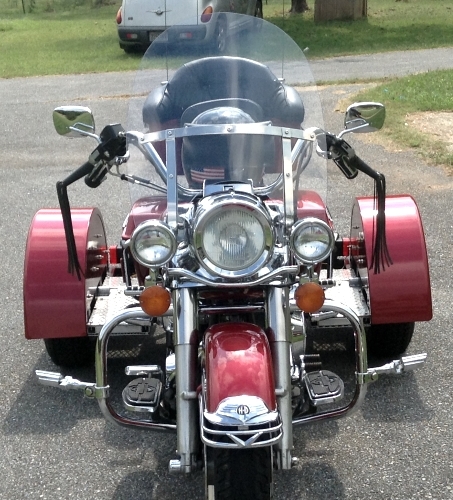 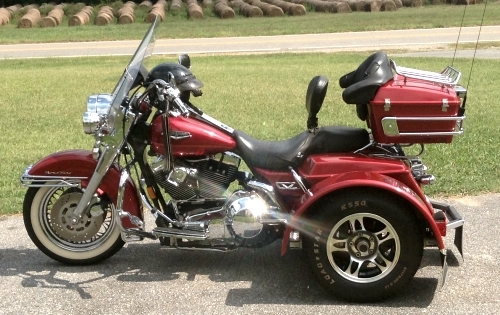 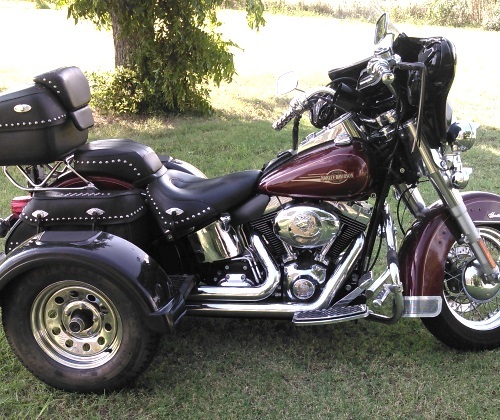 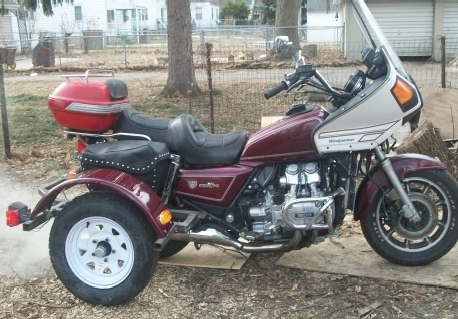 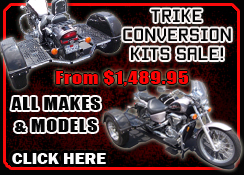 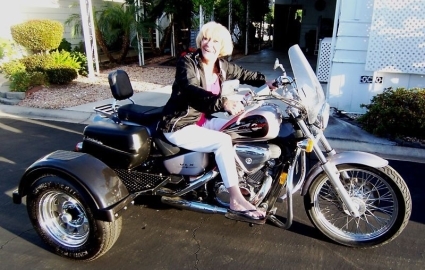 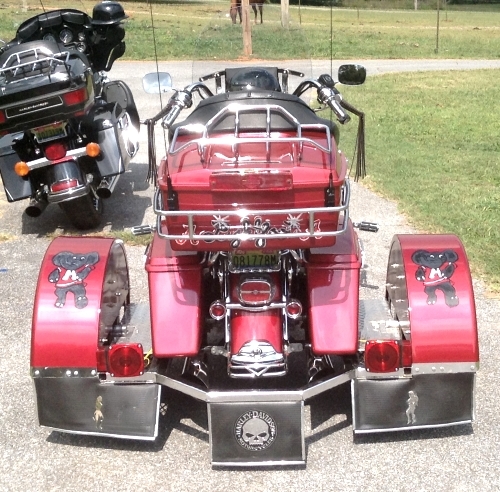 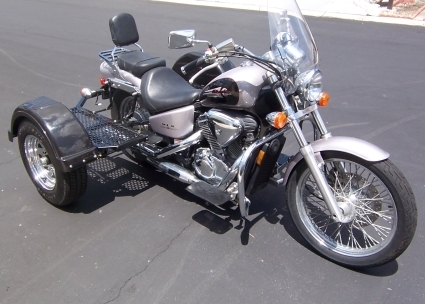 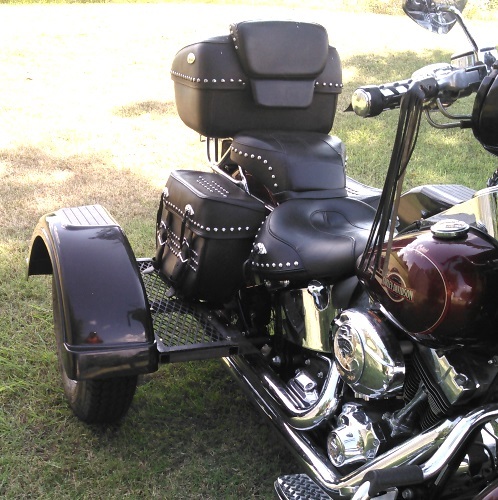 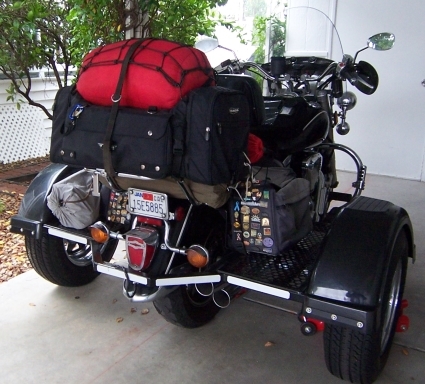 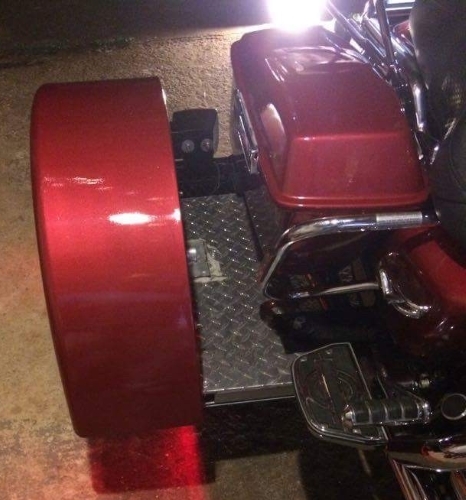 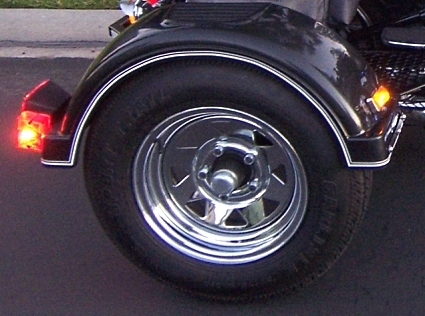 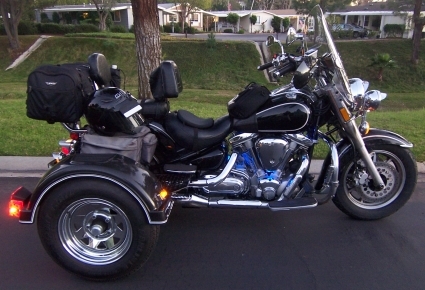 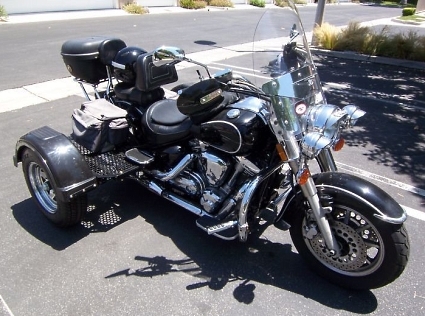 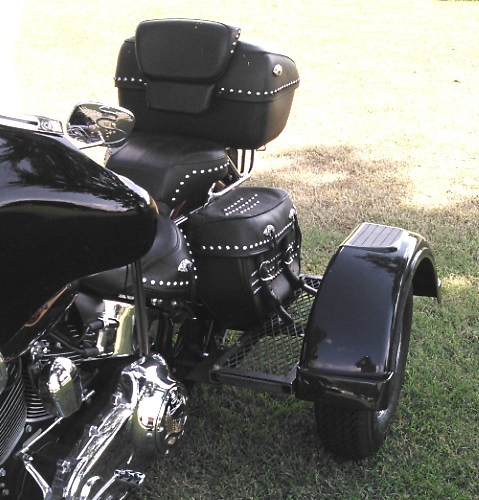 Most Trike Conversion Kits Cost Over $6000! 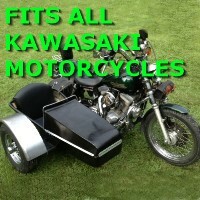 That doesn't even include the assembly fee! 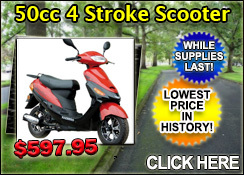 Why wait on such a great deal like this? 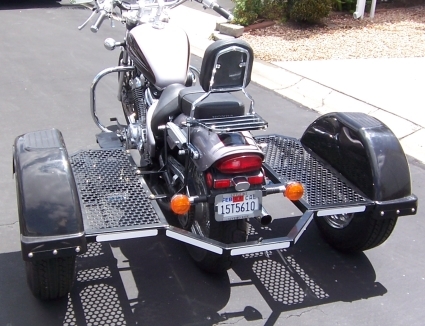 Please Note: Some custom fabrication may be needed to fit to your bike. 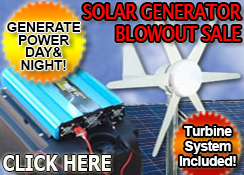 Installer should be mechanically inclinded.